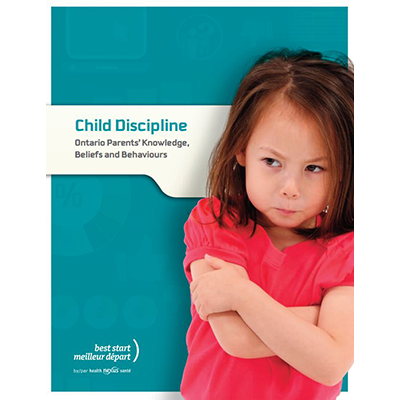 A survey was done in 2013 by Best Start by Health Nexus to determine parents’ knowledge, beliefs and behaviours towards child discipline. A total of 500 parents, or main caregivers of children zero to six years old living in Ontario filled out the survey. This report presents the results of this survey and formulates recommendations.